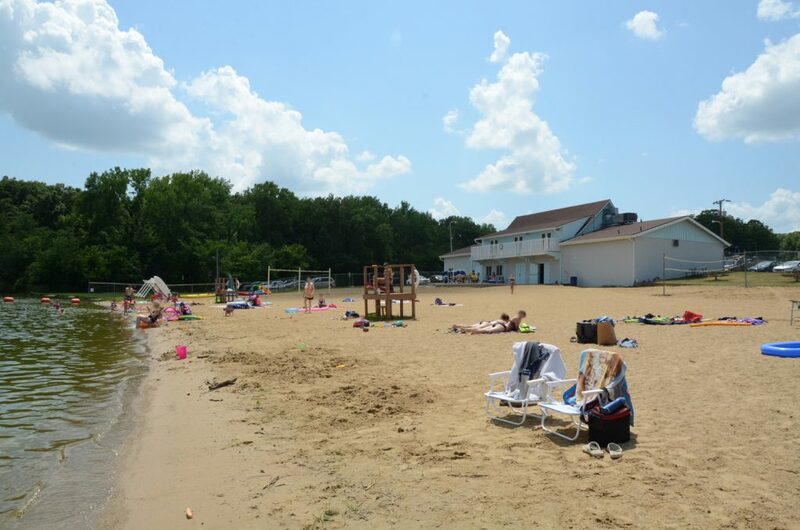 Cool off on a hot day at Milnot Beach, play a little sand volleyball, go for a swim, float on the water, or just lay out a towel, relax and catch some rays on the shore. Milnot Beach has a variety of treats and rent-ables to help you get the most out of your day at the beach. Hungry? Grab a snack at the Marina 1 snack bar. Need a little more thrill? Take a leap off the high-dive. 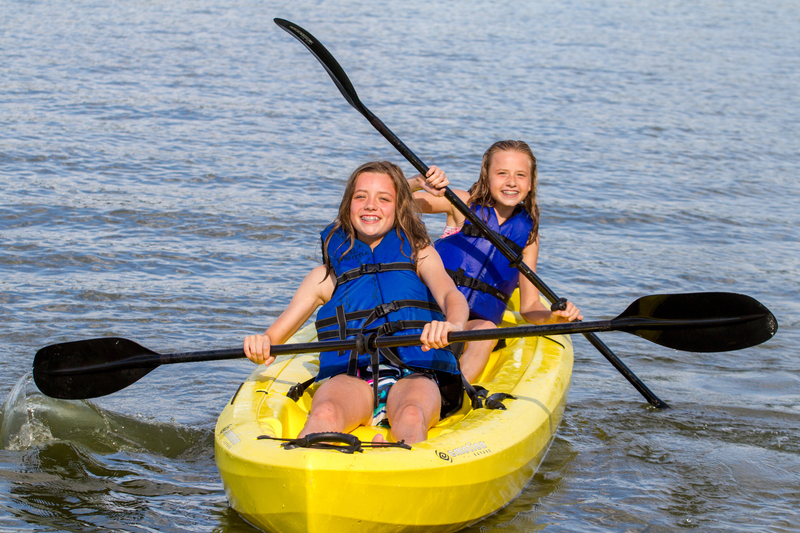 An on-duty lifeguard will monitor the waters to make sure you and your family stay safe throughout your stay, and life jackets are available for purchase at Marina 1. Feel free to bring your rafts, noodles, and floating to make a day of lounging around even more fun! If you don’t want to eat at our snack bar, we don’t mind that you bring a cooler, just be aware that the contents will need to be inspected by Lake Staff prior to you entering the beach. Alcohol is not allowed at Milnot Beach, but your snacks and water sure are welcome! Of course, this is old-fashioned water-hole fun. In open water, please be careful to make safe decisions. Saturdays, Sundays, and Holidays from 11AM to 6PM – weather permitting. August 31 and September 1 and 2 from 11 AM to 6 PM. Everyone is invited to have a Yaeger Day at Milnot Beach! 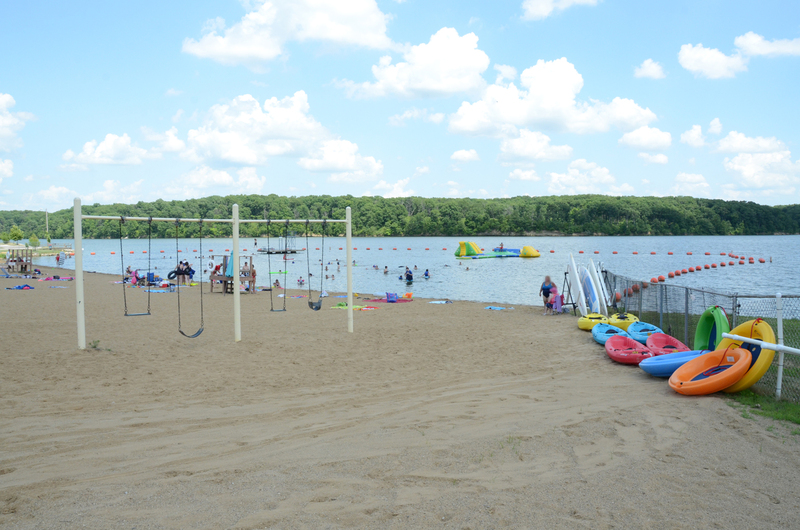 To contact Milnot Beach please call 217-324-4023 during normal operating hours. If you are trying to contact in the off season, call the Lake Superintendent at 217-324-5832. For directions use 4932 Beach House Trail, Litchfield, IL 62056 in your GPS or scroll to the bottom of the page. Pets are not allowed at Milnot Beach. Milnot Beach has one party room available for rent. 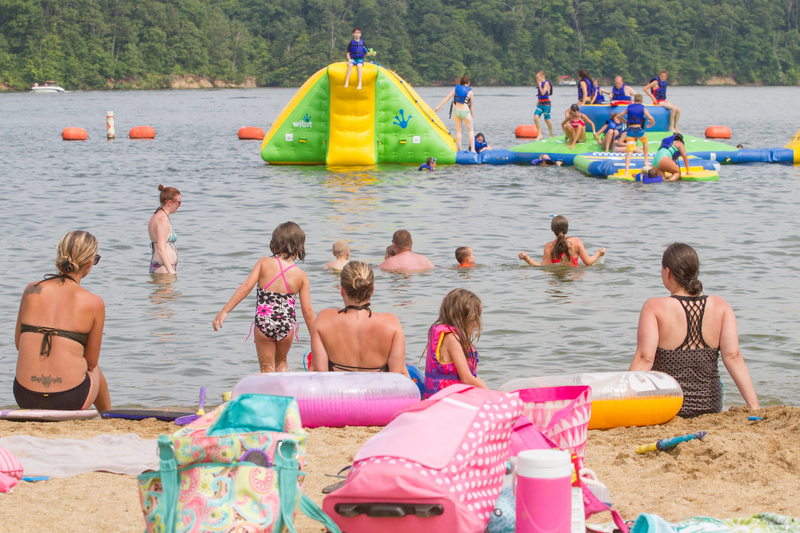 Regardless of the time of year, have your party at Lake Lou Yaeger! To reserve your party room between Memorial Day and Labor Day, please call the Beach House at 217-324-4023 or the Lake Superintendent at 217-324-5832. Amenities: Fridge/Freezer, Sink, Cabinets, Counter top, 1000 watt Microwave. 55″ TV with HDMI outlets & cables, Wifi Blue-Ray DVD Player, LAN Line outlets for Internet access, (3) 6ft. Seminar Tables, (8) 6ft. 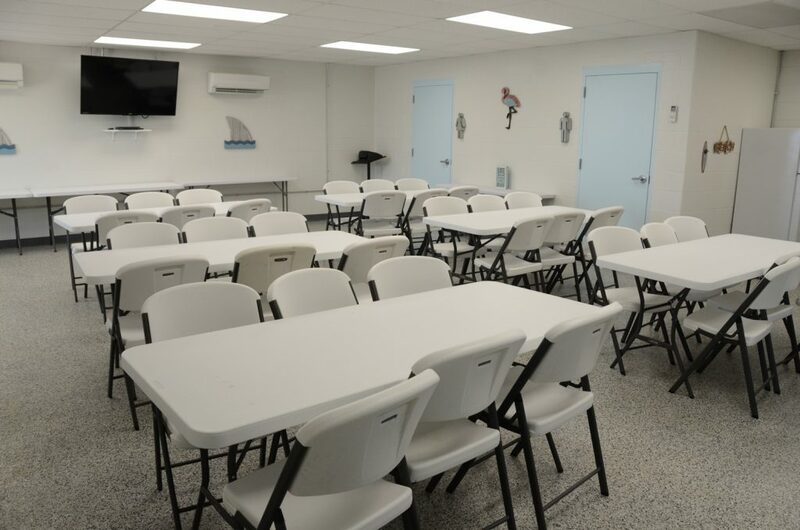 Folding Tables, 50 Folding Chairs, Podium, Dimming lights, Heat and AC, and Private Restrooms. Individuals can bring outside food and non-alcoholic beverages into the beach house. Alcohol is permitted in the party room during non-business hours (when the beach is not open for swimming). The Renter must have a policy of insurance and provide the City with a certificate or copy of the same showing coverage for use of the Meeting Room at Milnot Beach House. If the Renter will be selling alcohol a Special Event Liquor License may be required. Please contact the Liquor Commissioner at 217-324-5253. The Renter will also need to sign a Rental Agreement and an Indemnity/Hold Harmless Agreement in all situations. Access a Google Map through the Milnot Beach business listing. Written directions below are from Interstate 55. If you are traveling from the East on Route 16, omit step 1 and follow the direction in the parenthesis in step 2. Turn right onto Beach House Trail/County Rd 1350 N. This will dead end at Lake Lou Yaeger, Milnot Beach will be on the right (approximately 1.5 mile from Roberson Road or .4 miles from Park Road).